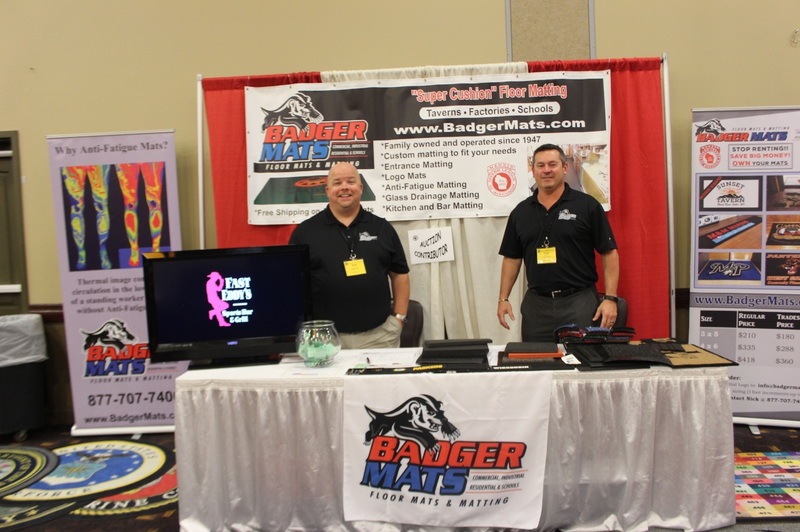 Badger Mats brings you over 65 years of Floor Mat experience. We are proud to offer you the most comprehensive selection of high quality floor matting in the Industry such as: Custom floor and Logo mats, Fundraiser Logo Mats, Entrance Matting, Oversized entrance matting, Recessed well matting, Welcome mats, Door mats, Anti-fatigue matting for all applications; Anti-static mats, Rubber mats, Kitchen mats, Bar mats, Gym mats, Pool matting, Safety matting, Weight room matting and much more. Our Company started out in 1947 when Frank Filardo, who was the Superintendent, Chemistry teacher and Coach of every sport at a very small school in Wisconsin, decided to make a window cleaner in his garage. He sold his cleaners to schools in the summer while he was out of school and was very successful in doing so. He then decided to start our business in the Janitorial field with cleaning supplies servicing many local schools and businesses. From there we have evolved to specializing into the commercial/industrial floor matting Industry. We have traveled the entire Mid-West selling our products town to town and building lasting relationships which is a great and satisfying byproduct of our business. We cherish every customer and service everyone from the small Mom and Pop to Major Grocery Chains. We will give you the attention you deserve and a quality product you can count on. Our business is not only about the products, it has always been about the people that we are servicing. We pride ourselves in making sure you get exactly what you need and that you are extremely happy with your purchase. We hope you put your trust in us as many have before you. We look forward to doing business with you!